John A. Gillett was born in the peaceful village of Crooked Tree to his parents John and Zillah Gillett, both of whom are now deceased. He grew up in the traditional life style of the Village having to do his daily chores such as milking Cows, beating rice, cutting firewood, and of course having to assist with the routine of farm work. He attended the Crooked Tree Government School and as he was allowed to skip Std I, reached Std VI at the tender age of 10 but due to the age constraint had to wait another year until he was allowed to take the Scholarship examination. When the age was right he took that examination and passed; he was awarded a scholarship to attend the Belize Technical College (BTC). At that time BTC offered both secondary and tertiary level education and after completing his Sixth Form education in chemistry and Biology in 1972, he joined the Belize Sugar Industries Ltd as a Trainee Chemist, where he was again granted a Scholarship and was sent to London, England where he was qualified as a Chemist and also took courses in Sugar Technology. 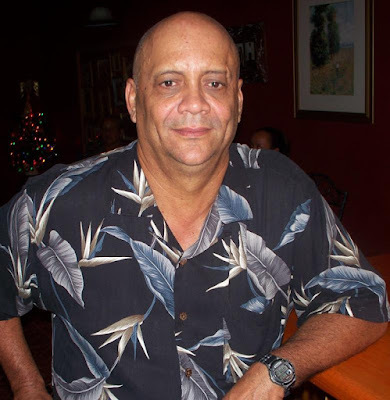 After returning to Belize in 1976, he took up the position as Factory Chemist, a position he held until 1985 when he was promoted to that of Production Superintendent. From 1985 onwards, BSIL has sent him to numerous Countries around the world including Brazil, many US States, Jamaica, Trinidad, Curacao, Guatemala, Mexico, UK and more recently a Four Month period in Swaziland and South Africa. This preparation led him to take up the post as Factory Manager of Belize Sugar Industries Ltd since December of 2006 up to present. In spite of all this responsibility, he still finds time to frequent the Village of Crooked Tree regularly and to overlook his Farm where his love for cattle and horses remains undisturbed. This is nice and I am so happy to see one of our fellow Crooked Treean made the "Spotlight". Congratulation Johnny you accomplished a lot, and there is still more to come. By the way, throw some of that black dirt in my yard (lol). Linda,I am so happy to see you feature another of our village bwai. I am also glad to know more about Johnny G.; he was a smart young boy. villageviewpost.com ;it really keeps us updated with home. I'm a writer living in Brooklyn. I'm trying to track down some NYC contacts to interview about Punta Rock. Do you know of any artist that live in the city that might be able to speak to the history of the music, cultural importance, etc? Any help would be greatly appreciated. Also, are there any Belizian or Garifuna restaurants in the city? Happy New Year and all the best to you and the family. Girl you have done a marvelous job keeping us Belizean informed. You are a true Belizean community activist. Keep up the good work.